A review of the performance of the simulator from the LDS yields mixed results. We predicted the Rays would beat the Rangers in five (pretty close), and that the Yanks would beat the Twins in four (again pretty close). 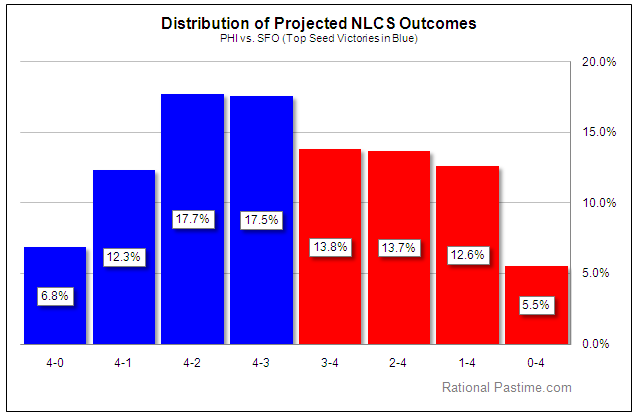 We also predicted it would take the Phils five games to beat the Reds (not very close) and that the Braves would topple the Giants in four (not close at all, in fact the exact opposite of what happened). 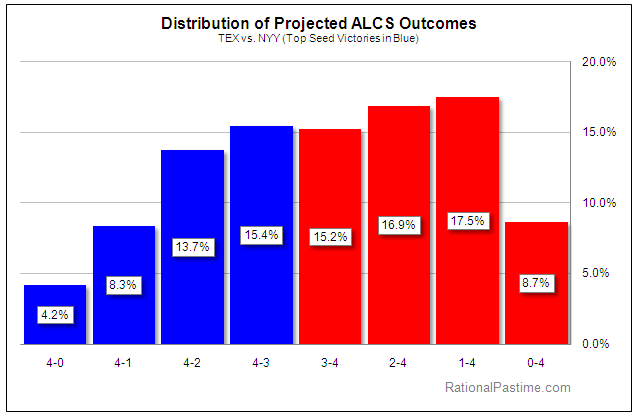 For the next two rounds, we'll be charting the distribution of expected outcomes in each series in addition to posting the projected likely outcome. Take a look after the jump.